Last week we had an unusual warm snap - several days even saw the low 40s. It made Minot a lot more tolerable, in large because the kiddos played outside for hours every day. 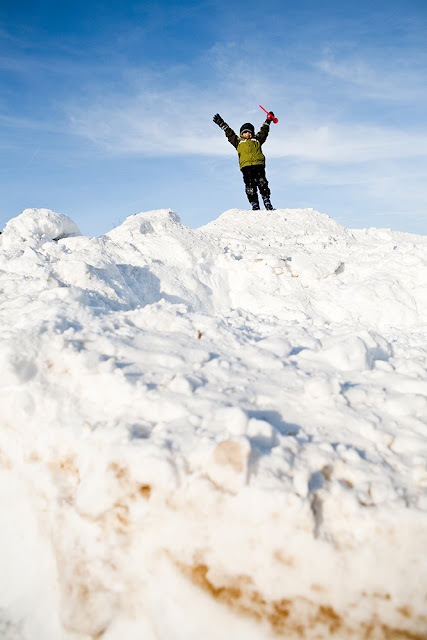 The first day of warmth, I looked out the front window and saw Henry up on this hill waving to all the cars that passed by.